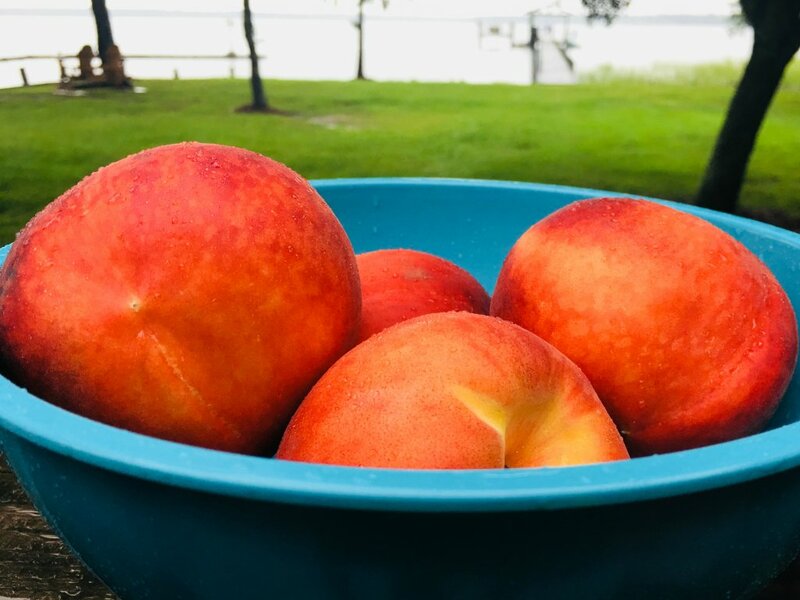 Sweet home Alabama is home to juicy fresh peaches, perfect for a refreshing Southern Peach Cocktail to quench your thirst on a summer afternoon! This Southern Peach Cocktail recipe is perfect for summer afternoons! I am in Alabama for the week enjoying the seaside lifestyle! 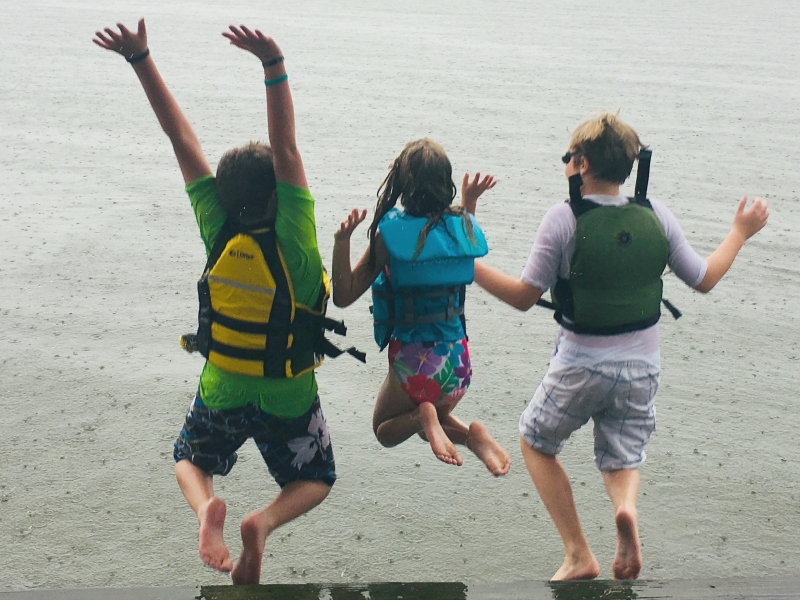 There’s a lovely bay, a dock, frolicking dolphins – idyllic! Except today it poured rain for a good part of the day so I decided to put my indoor time to good use and whip up a cocktail with some fresh Alabama peaches! Since we are away from home without the liquor comforts of home, I had to make do with the available ingredients – gin, honey, lemons and mint. That already sounds good, doesn’t it?! The Southern Peach is for More Than Cobbler! Sure you *could* eat these peaches or put them in cobbler or on ice cream, but they are also superb in cocktails! AND whenever I have fruity cocktails, I feel like I’m having a fruit serving so essentially, this is a health drink. You’re welcome. Like I said, since we are at a somewhat rustic cabin, I had to improvise with equipment and ingredients but it all turned out just fine! Fun fact: it was raining heavily during all these photos! 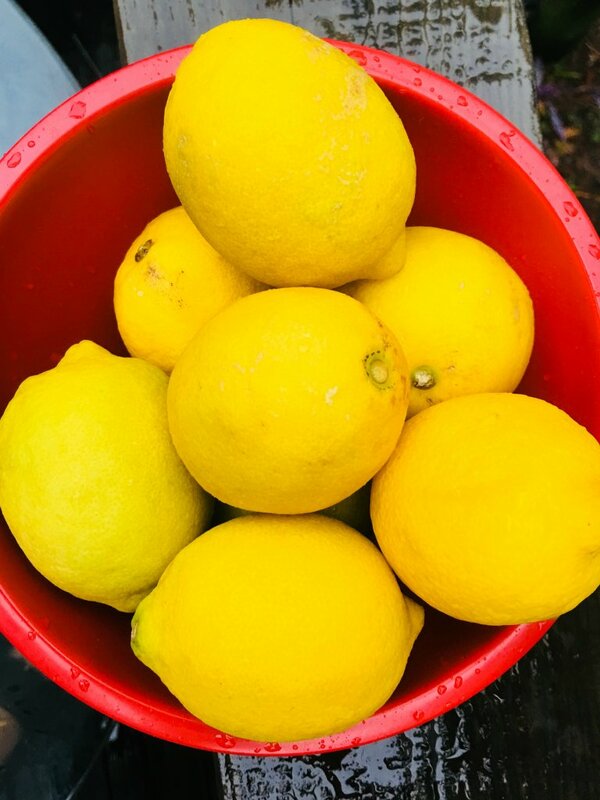 The lemons didn’t seem to mind! 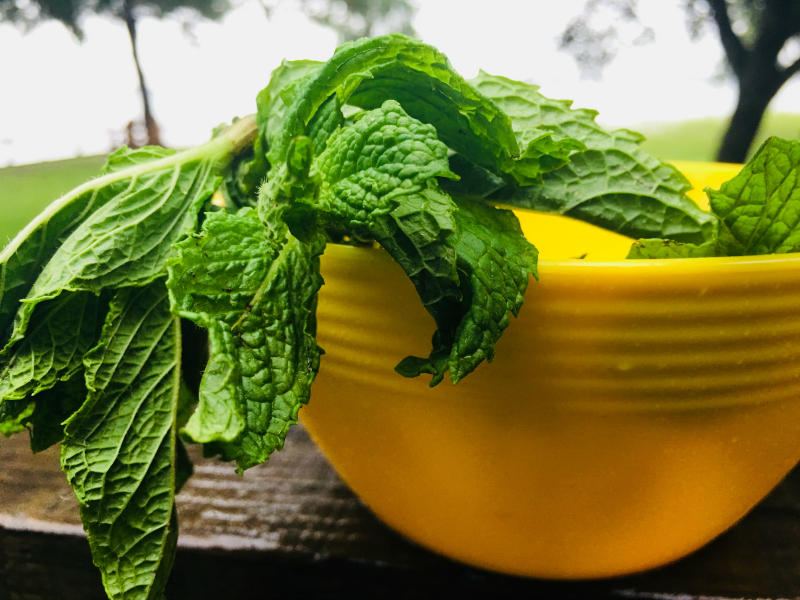 It’s always a good idea to keep mint on hand! There’s no blender here unless it’s collecting dust in the attic, so I just chopped and muddled the ingredients before adding the gin and ice. The beater from a small mixer worked perfectly and allowed me to feel like a genius/Macgyver. The end result was tasty and refreshing, and the rain cleared up before I finished the cocktail! 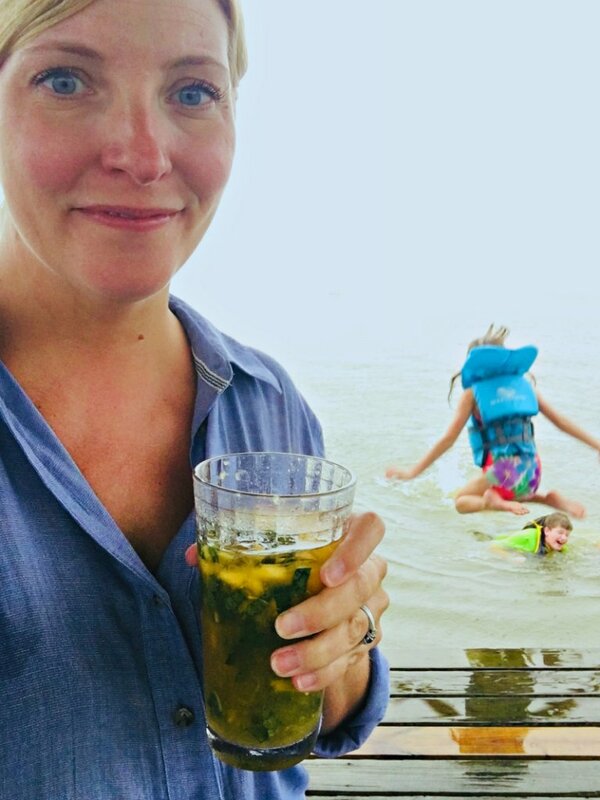 Enjoying the Southern Peach Cocktail out on the dock! For those days when you want to watch the splashing rather than join in! Crazy kids! P.S. All their suits are thrifted and my Free People top is thrifted too! Not-so-crazy dog! 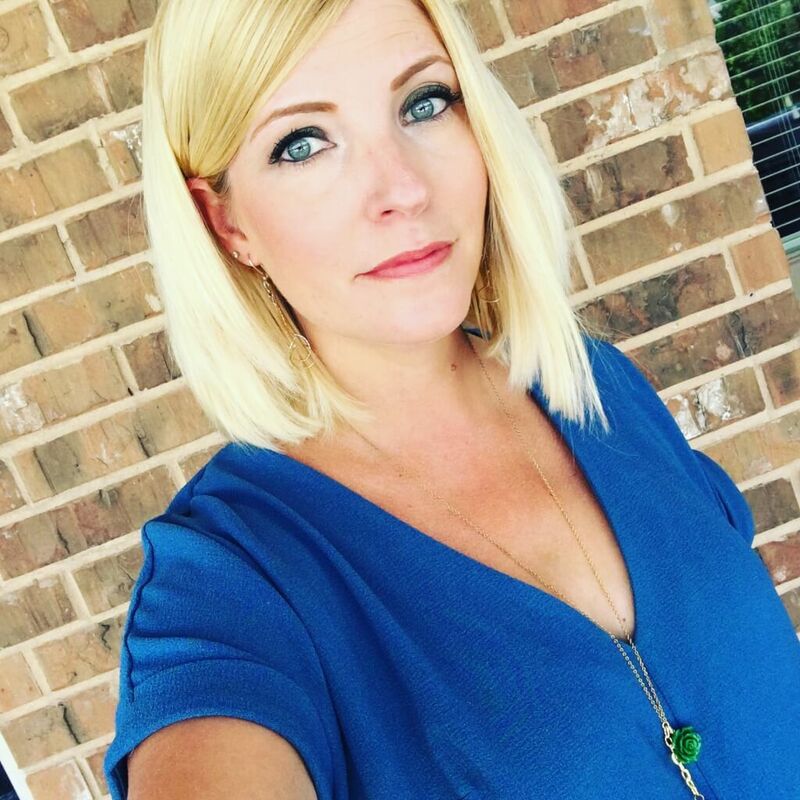 It was such a beautiful day – since it was overcast or raining, it wasn’t that hot! 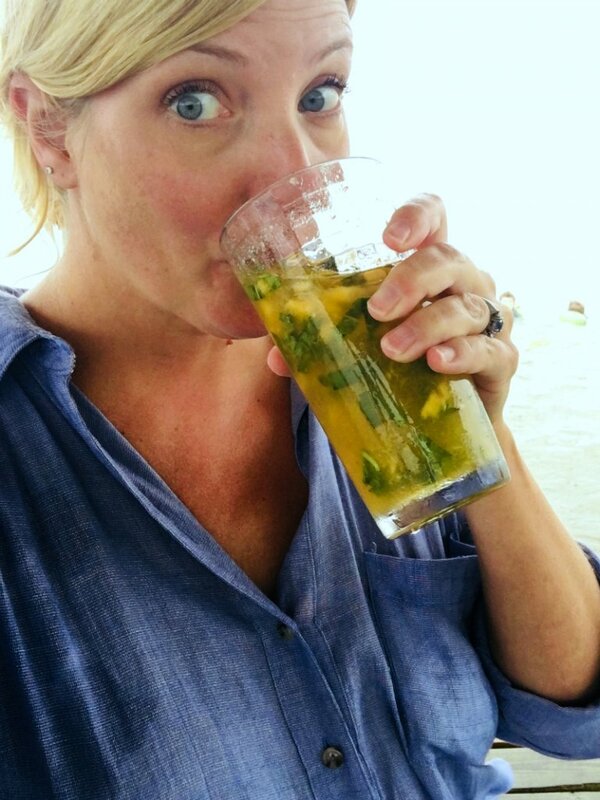 I loved sitting out on the dock reading my book and sipping this cocktail! I’m not always in the mood for a chunky smash-style cocktail but this Southern Peach Cocktail hit the spot today! I may or may not have talked with a southern drawl the whole time I was making it! 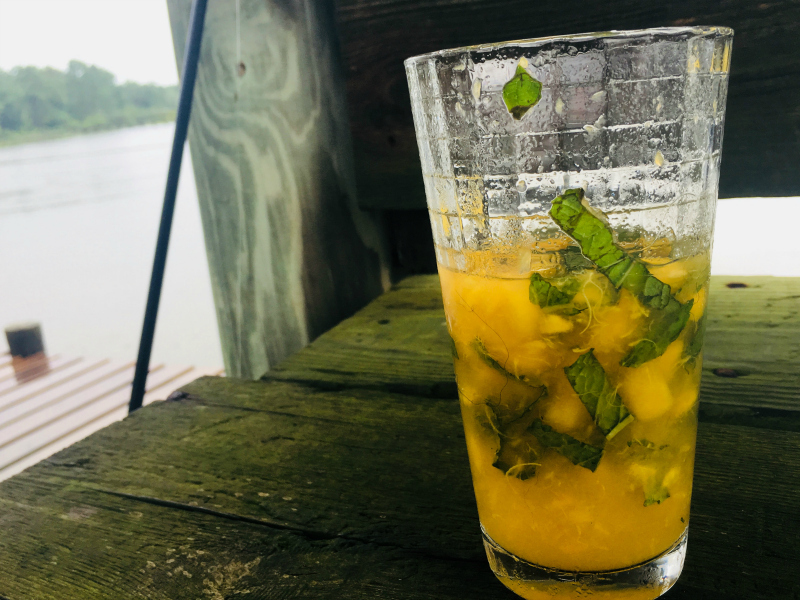 Even if you don’t have Alabama peaches, you can give this cocktail a try with fresh peaches near you. Hope you try it, and remember to enjoy responsibly! 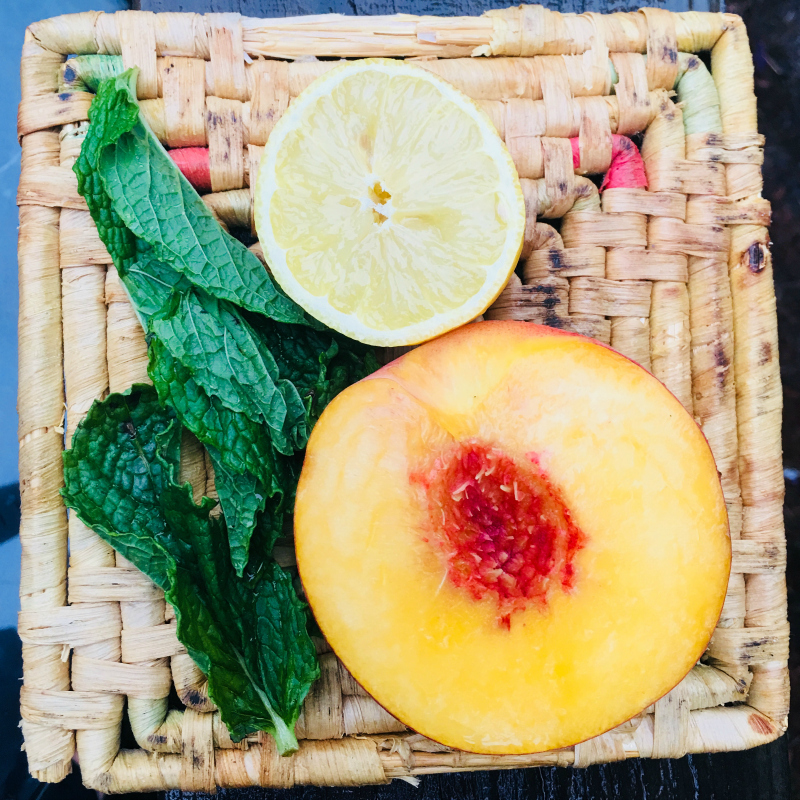 This refreshing gin cocktail is made by muddling fresh peaches, lemon juice, mint and honey together! 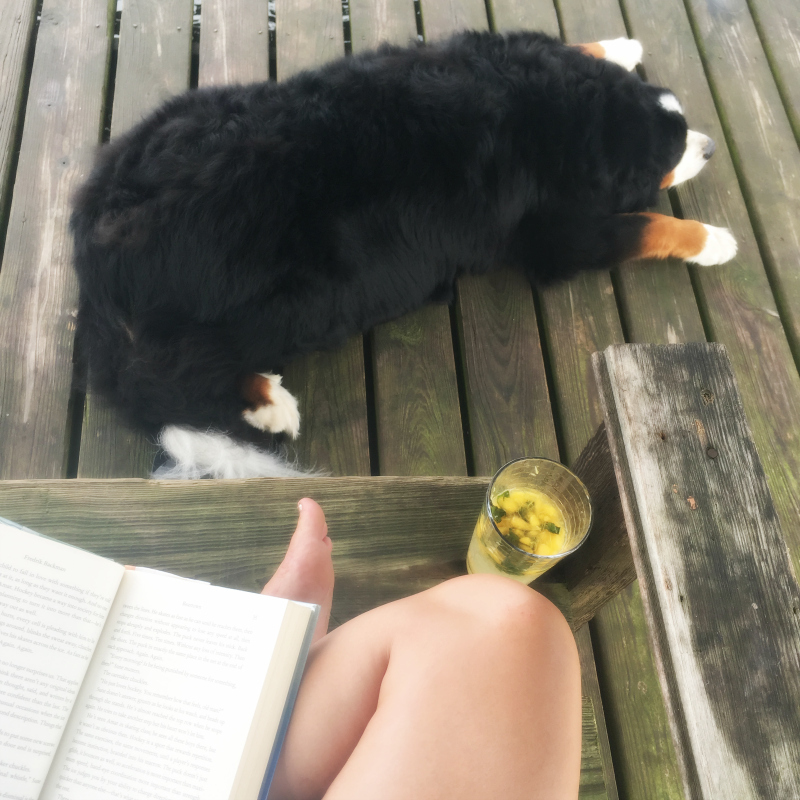 It's perfect for a relaxing summer afternoon! 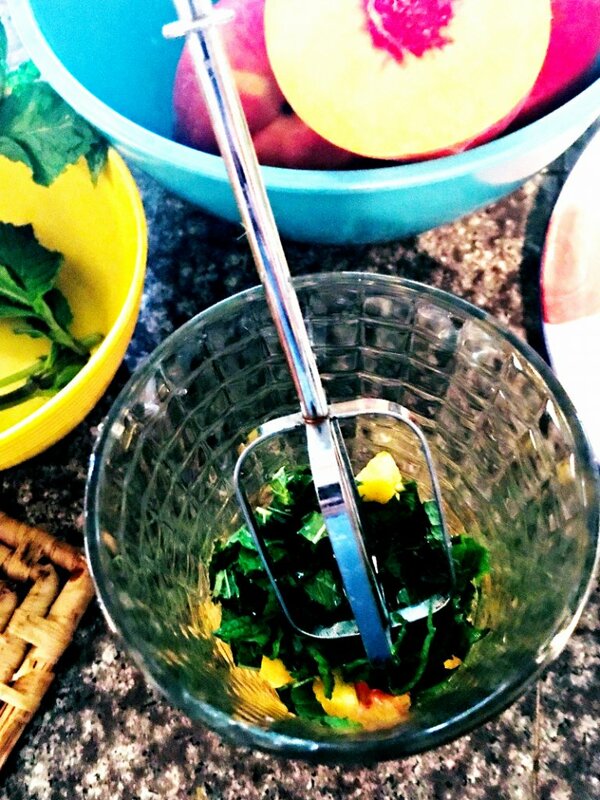 Put peach, lemon juice, honey and mint in a glass and muddle together well. Pour in gin and stir well. 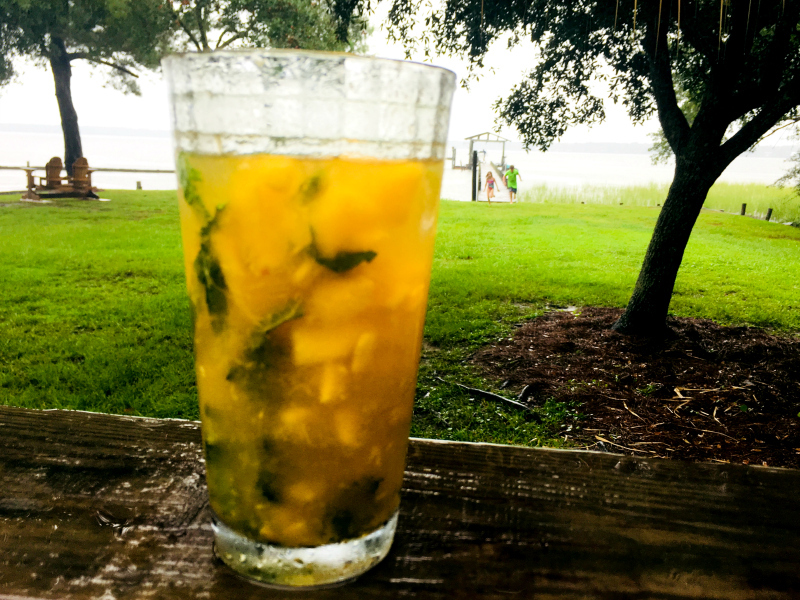 Find a dock or a deck or a couch, sit back, relax and sip this refreshing cocktail! The cocktail recipe sounds delicious and I will definitely try it. River and the kiddos looks like are enjoying Sweet Home Alabama. Great pics of the ingredients and the revamped layout of the website is definitely spot on. Enjoy the vacay. Thanks so much! I am thinking of you here and all throughout our trip – you represent the South to me! xoxo Thanks for the kind words! Let’s get together when we return! Ha! About time for another cocktail. But what about the alligators??? They totally freak me out. Doesn’t Alabama have them?